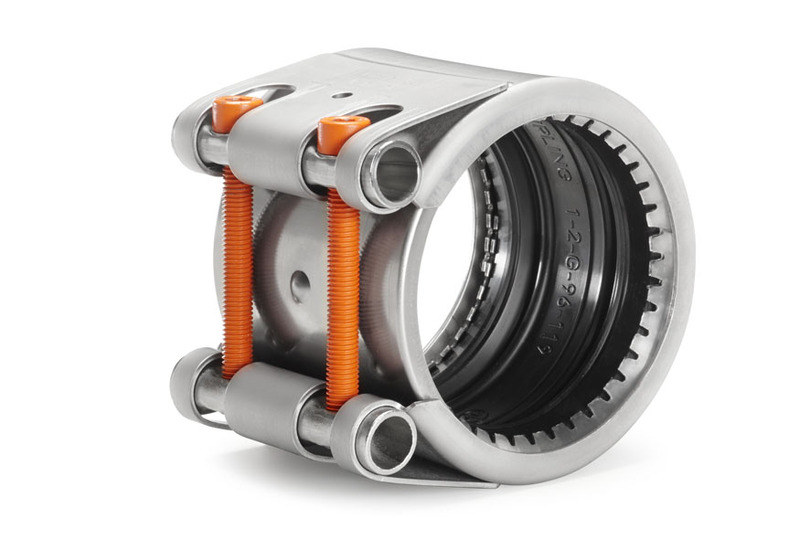 The UNI-Grip pipe coupling is designed to replace the need for flanging, welding, pipe grooving and pipe threading by providing a quick and easy solution to joining plain-end pipe. 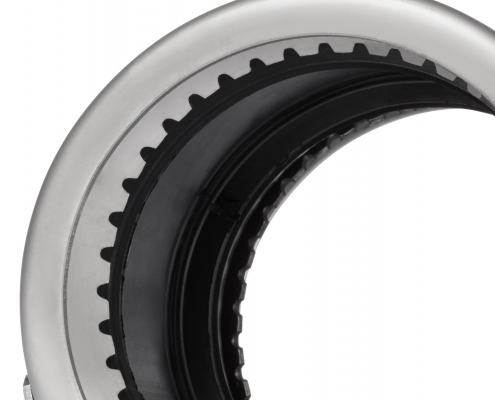 This is possible due to the anchoring ring with conically stamped teeth that indents into the pipe’s surface (steel, stainless steel or cast iron) and provides safe and strong axial restraint. 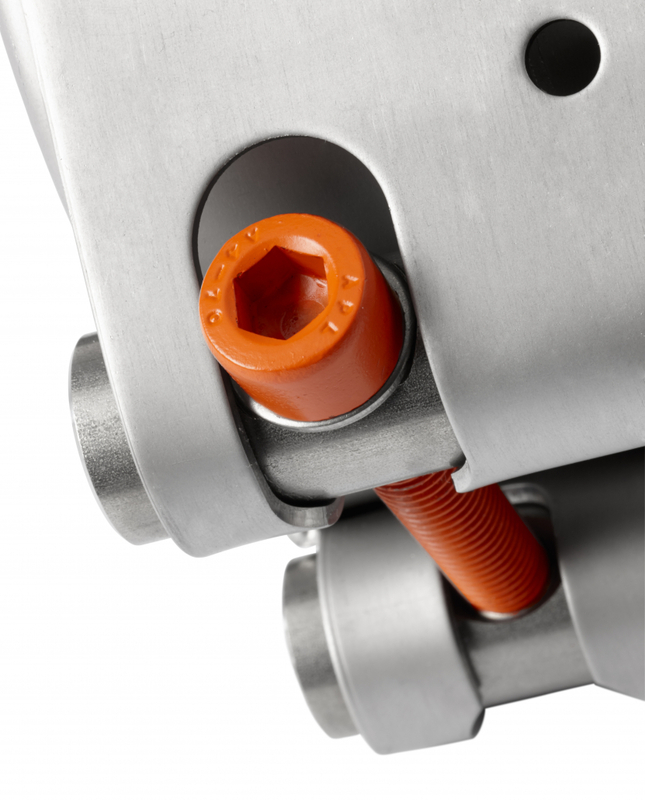 The UNI-Grip’s special teeth design with progressive anchoring effect with ball solution offers high levels of security by locking the pipes together under pressure. When the axial tensile load of the pipe is increasing by internal pressure or external influence, specially shaped balls brought in at the back will push hardened teeth into the pipe surface. 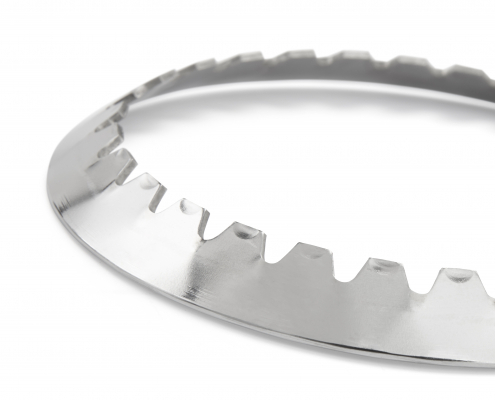 The depth of the anchoring’s teeth under pressure is approximately 0.1 to 0.3 mm. With the use of this method it is possible to achieve improved anchoring behavior on hard surfaces like thin-walled stainless steel or cast-iron pipes. 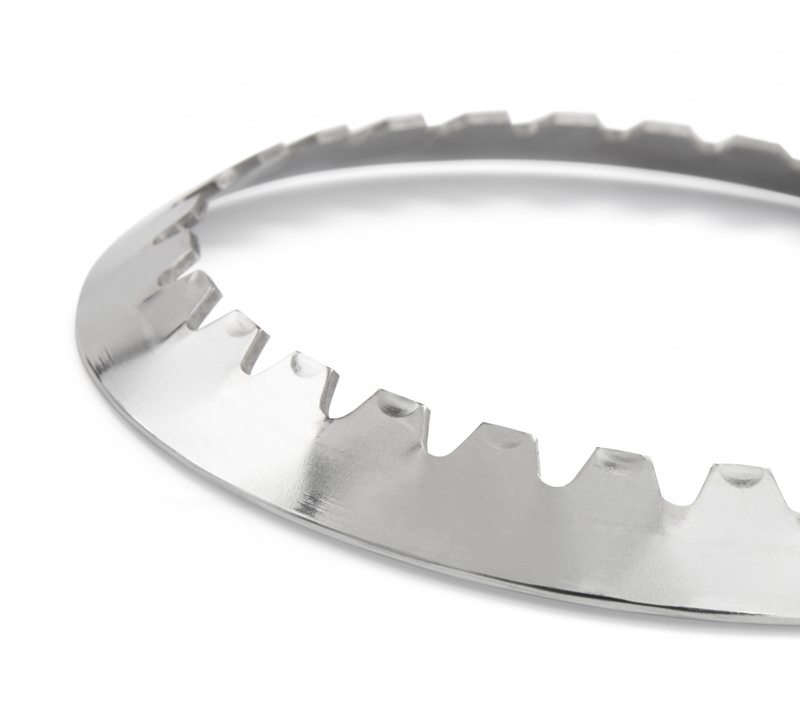 By the oblique angle of the teeth, anchoring is obtained by coated surfaces like hot dip galvanized steel tube. Not only the teeth are innovative. 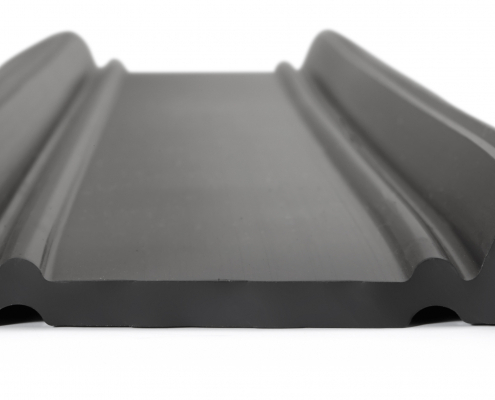 The UNI-Grip’s gasket solution is patented and uses the latest techniques in sealing. 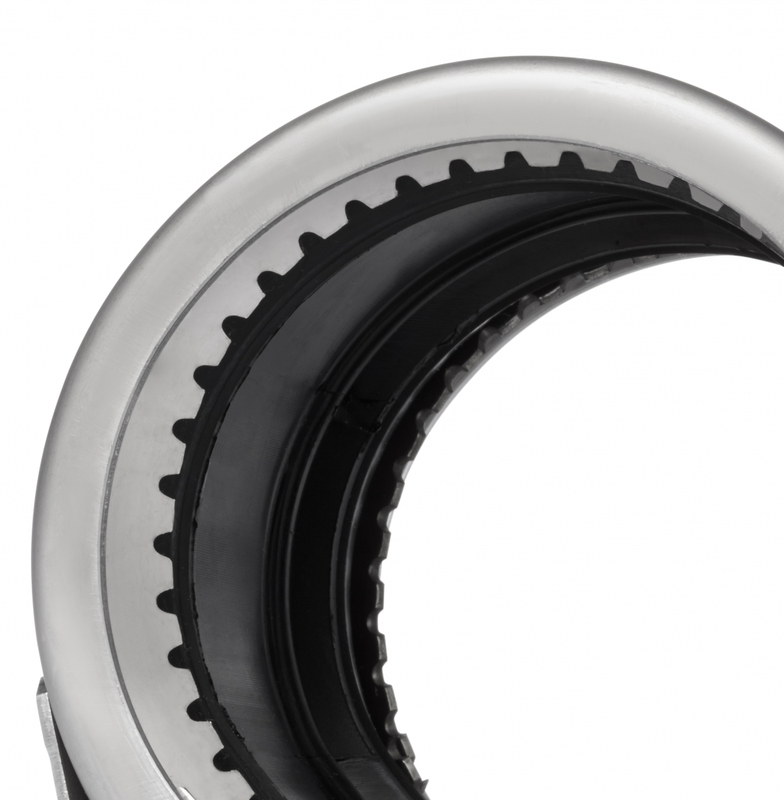 During installation of the coupling compensation beads/grooves are used, therefore the stainless steel insert that is needed in gaskets used by competitors is no longer needed what solves the corrosion problem that comes with these strip inserts. The strip insert is now only needed in vacuum pipes. 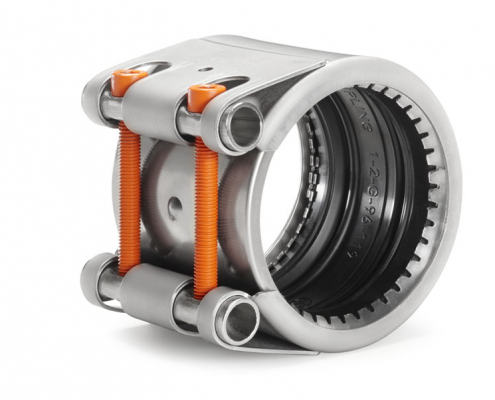 The UNI-Grip pipe coupling is available in ranges from 21 mm up to including 750 mm. All models are suitable for new installations and retrofit, whether on a building, ship or process plant. 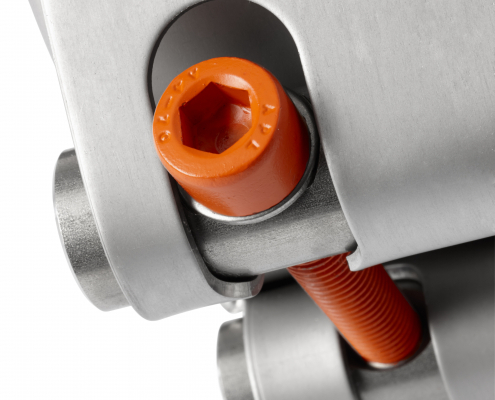 The UNI-Grip range offers a pipe coupling system that accommodates angulation, vibration and vacuum.